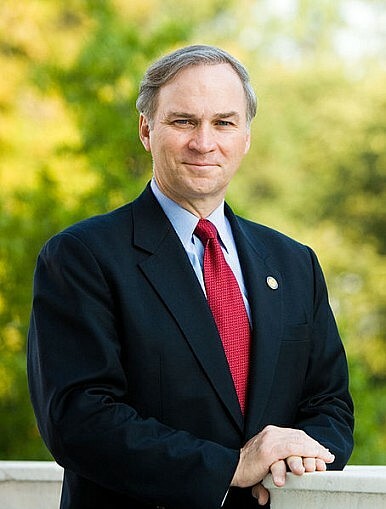 J. Randy Forbes is the best choice for the next Chairman of the House Armed Services Committee. Rep. Buck McKeon’s (R-Cali) retirement at the end of this year will open up the House Armed Services Committee (HASC) chairmanship. The current frontrunner to replace him is Rep. Mac Thornberry, a ten-term representative from the state of Texas who currently serves as the vice chairman of the HASC and the senior member of the Permanent Select Committee on Intelligence. I do not doubt that Rep. Thornberry could serve ably as the HASC chairman, and he has certainly patiently waited his turn for the privilege to do so. However, if the Republican Party selects the next chairman on the basis of merit alone, a better candidate exists: J. Randy Forbes (R-VA). Veteran readers will know that Rep. Forbes is a friend of The Diplomat, having written numerous opinion pieces and granted us interviews on a number of occasions. There is a reason for this: namely, Rep. Forbes is an expert on U.S. defense policy, and in particular U.S. naval strategy and the Asia-Pacific region. It’s increasingly rare to find legitimate subject matter experts in Congress, particularly in areas of foreign and defense policy that often rank last among the issues that voters cast their ballots on. Rep. Forbes passion and expertise in the two areas that will be of most importance to America’s strategic interests in the coming years make him a rare breed among members of Congress. It would be a shame for the nation, its allies, and the Republican Party itself if the GOP weren’t to take full advantage of such a valuable asset. There is no member of Congress that I’m aware of with anywhere close to the expertise that Rep. Forbes — chairman of the HASC’s subcommittee — brings to the subject of naval affairs. As he demonstrates time and again with his work in and out of Congress, Rep. Forbes is extremely well-versed on the major challenges facing the U.S. Navy as it continues to pivot to Asia. He has also delved much more deeply into the challenges the U.S. military as a whole faces by focusing on issues like long-range strike capability and the critical importance of the Office of Net Assessment. Forbes has also been a strong champion for the Air Force. He regularly demonstrates his deep expertise by contributing to the public debate with an astonishing number of commentary pieces, as well as frequently participating in Washington think-tank events. All of this has positioned him to serve the U.S. and the Congress well as the Chairman of HASC. Through his years of experience he has won the respect of America’s soldiers, military brass, and civilian defense analysts both inside and outside of government. He has also developed strong personal relations throughout the military and larger defense community. As HASC chairman, he could effectively tap into all of these to ensure that the U.S. does what is necessary to ensure the peace and stability of the Asia-Pacific. Although his official responsibilities in Congress are limited to military issues, this has not stopped Rep. Forbes from taking on the cause of the Asia-Pacific more generally. This is a rare thing in the U.S. Congress, which places foreign affairs a distant second to domestic ones, and even among foreign policy issues places a far higher priority on the Middle East and Europe. For example, the HASC’s oversight plan for the current Congress devotes all of one page to the Asia-Pacific, about a third of the space devoted to the greater Middle East. Similarly, in recent years HASC has held about two to three meetings on the Asia-Pacific annually, one of which is the required annual Pacific Command’s force posture update. This is part and parcel of the level of attention the Asia-Pacific receives in Congress more generally. For example, in September 2012 Japan announced plans to nationalize the Senkaku/Diaoyu Islands. Soon after the Obama administration stated that the islands were covered by the U.S. defense treaty with Japan — in essence, pledging the U.S. to enter into conflict against a nuclear-armed China should Beijing seek to forcibly seize the Senkakus. Given the extraordinary implications of this decision, one might have expected Congress to have taken a keen interest in the issue. Yet, from the time of Japan’s nationalization through at least the end of February 2013, not a single hearing was scheduled on the Senkaku/Diaoyu Islands, Japan’s defense, or the East China Sea in the Armed Services or Foreign Relations Committees of either house of Congress. By contrast, during the same period the four congressional committees held no less than seven hearings on Benghazi, two on Israel’s defense, two on Syria, three on the Congo, two on Mali, and one on U.S. peacekeeping in Africa. Asia wasn’t completely ignored, however, as the Senate Foreign Relations Committee managed to carve out time for a subcommittee hearing on organ harvesting in China, no doubt at the insistence of some powerful interest group or another. Rep. Forbes has led the way in trying to rectify Congress’s inherent apathy towards the increasingly vital Pacific region. This includes a rare joint hearing Rep. Forbes helped organized between subcommittees in the HASC and House Foreign Relations Committee on China’s maritime disputes. Also notable, in October of last year it was announced that Forbes would lead (with Rep. Colleen Hanabusa [D-HI]) the HASC’s oversight of the Asia-Pacific rebalance. Since that time, the HASC has held a number of vital hearings on crucial issues impacting the U.S. position in the Asia-Pacific in the coming years. This includes numerous full committee and subcommittee classified briefings on operations, intelligence, and force posture in the Asia-Pacific. An equally important part of the Asia-Pacific Security Series are the roundtables Reps. Forbes and Hanabusa are holding with the ambassadors from some of America’s closest Asian allies, including Australia, Japan, Philippines, the Republic of Korea, Singapore, and New Zealand. These roundtables give crucial allies the opportunity to air their concerns, as well as gain a better understanding of U.S. policy. At a time when many Asian allies are doubting America’s commitment to them, it’s difficult to overstate the importance of such initiatives. Rep. Forbes’ appointment as HASC chairman would greatly reassure them of Congress’ continued commitment to their futures. Making Rep. Forbes the HASC chairman would also ensure the committee’s tradition of bipartisanship continues. At a time of unprecedented partisanship in American politics, the HASC has continued to demonstrate a civility now so rarely seen in Washington. Although a staunch conservative, Rep. Forbes has repeatedly shown he will reach across the aisle when it serves the national interest. Besides the oversight committee, Rep. Forbes co-chairs the immensely important and active China Caucus with Rep. Madeline Bordallo (D-GU), and the Navy and Marines Corps Caucus with Rep. Susan Davis (D-Cali). In the last year alone, Rep. Forbes has teamed up with Democratic Congressmen like Rick Larsen (D-WA) and Rep. Joe Courtney (D-CT) to address critical defense issues like the outdated “fair share” budget scheme and the importance of preserving America’s undersea advantage. Such a willingness to put country before party is exactly the kind of bipartisanship the American people have been looking for in their politicians, and raising Forbes’ stature could benefit the GOP come election time. This would not be the only way making Forbes the next HASC chairman would benefit the GOP. Traditionally, the Republican Party has been rightly seen as the best custodian of America’s foreign policy and national security. In the aftermath of the Iraq War, however, the GOP has increasingly ceded this ground to the Democratic Party. Recapturing it will require that the GOP put forward the kind of pragmatic experts that led it so capably during the Cold War. Rep. Forbes is just such a leader. Committee chairmanships in the U.S Congress are usually handed out on the basis of insider politics. By this measure, the HASC chairmanship should go to Rep. Thornberry. However, the U.S. is currently facing a precarious geopolitical landscape in which the status quo will not suffice. Rep. Forbes would be the best choice for the nation, its allies, and the Republican Party writ large. As such, he should get the nod. The United States' alliance with Japan can grow stronger still.